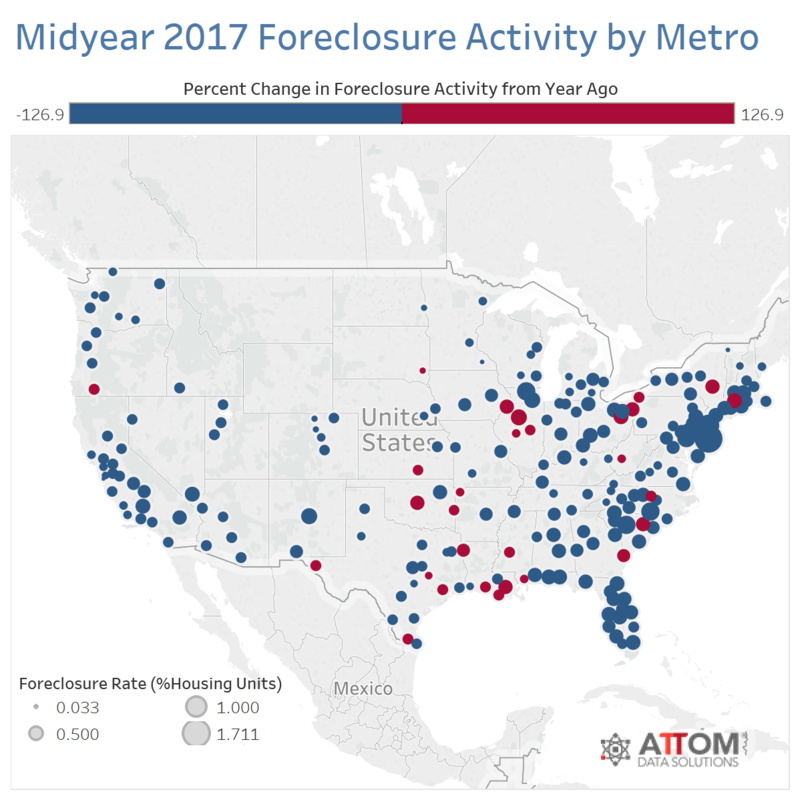 Data powerhouse ATTOM Data Solutions (parent company of RealtyTrac) recently released their Midyear 2017 U.S. Foreclosure Market Report revealing that there were 428,400 U.S. properties with foreclosure filings (default notices, scheduled auctions or bank repossessions) over the first half of 2017. This figure is 20% lower that one year ago. 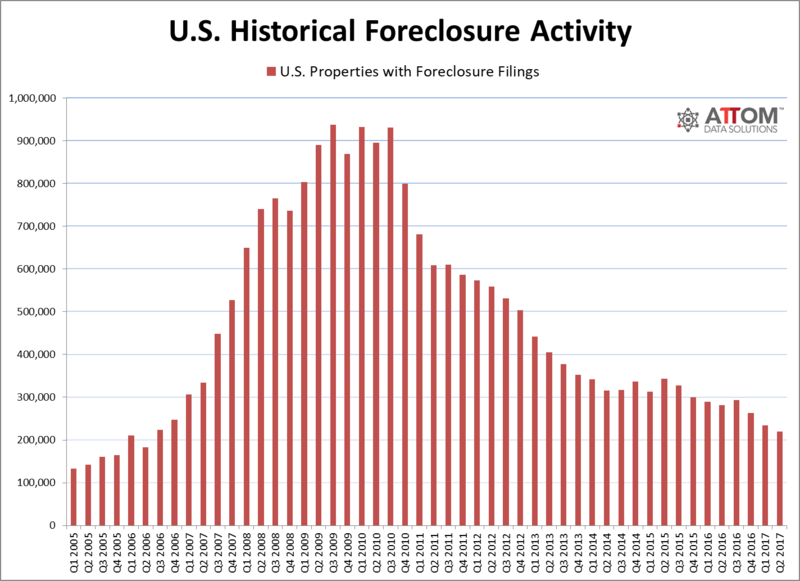 Banks foreclosed (REO) on 169,124 properties over this period, which is down 14% from one year ago. Click here to read the full report on RealtyTrac.com.